This Mother’s Day, Swissôtel Sydney has unveiled a grand lunch experience for guests at Crossroads Bar, a contemporary reimagining of the traditional hotel bar, where modern design meets classic style in an open-plan dining area, completed by intimate dining pods; all part of a recent refurbishment by Sydney-based design firm, CHADA. Joshua Askew, Executive Chef, is designing a vibrant selection of locally sourced, seasonally inspired cuisine, with a conscientious emphasis on sustainable produce - one of the cornerstones of the Swissôtel dining experience. Guests can expect a sumptuous mix of Australian native produce, artfully mingled in a variety of modern flavours. Guests are invited to make Mother’s Day an extra special treat this year, with an exclusive macaroon bar created by Swissôtel Sydney's talented pastry team, including Head Pastry Chef Tracy Allesina. Guests can mix and match classic (or unexpected!) flavours to create their own unique macaroons. Kids will also enjoy a fun chocolate workshop where they can make their own chocolate gifts. 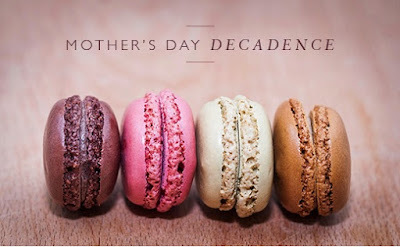 It’s a decadent experience for the whole family! The event is scheduled from 12.30pm-3.30pm at Crossroads Bar.